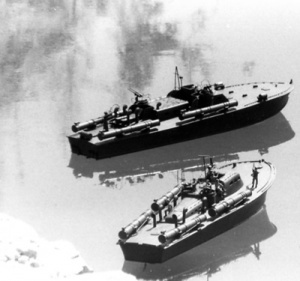 RON 1 (PTs 20 – 31, 33, 35, 37, 39, 41 – 43) which served at Pearl Island, Midway, and the Aleutians. RON 2 (PT 20-26, 42, 48, 34, 36 – 40, 20 – 26, 28, 30, 32) which served in the South Pacific. Later RON 2 was transferred to the English Channel where it operated with 78′ Higgins PTs 71, 72, 199 as well. RON 3 (PT 31-35, 41) served in the Philippines at the outbreak of the war and was later referred to as “The Expendables”. All these boats were destroyed, either by enemy action or to avoid capture. 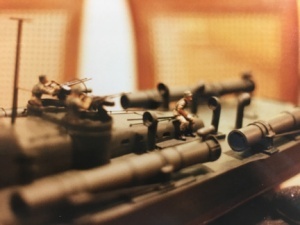 Later in the war, RON 3 was reconstituted and served in the South Pacific (PTs 21, 23, 25, 26, 36 – 40, 59 – 61, 45 – 48) PTs 59 – 61 were stripped of torpedoes and armed with additional cannon as “barge-busters”. RON 4 was the training Squadron stationed in Melville, RI. 77 foot ELCOs 59 – 68 were assigned to this squadron at one point. 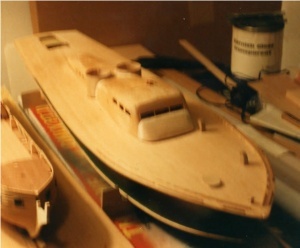 The first serious PT model I built (in 1987) was of PT 34, one of the “expendables”. 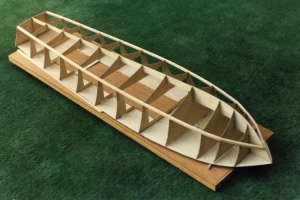 I constructed it in 1:32 scale, using the Al Ross, Jr. plans from Coastal Forces. the model was built for performance and powered by a 540 motor driving a single large propeller. It pretty much leapt out of the water and made a great show. 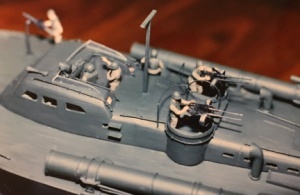 It was scratch built for the most part, and I used 1:35 scale military figures and machine guns from Tamiya for details. 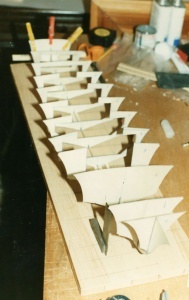 The model was later donated to the PT Boat Museum in Fall River, MA. 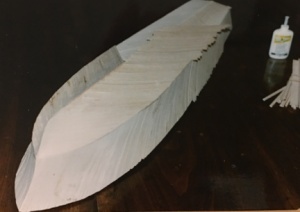 The hull was constructed using 1/16 plywood for bulkheads, keel, and deck, balsa stringers along the chine, and diagonal planking of two layers of 1/16 balsa in opposite directions, much as the original. 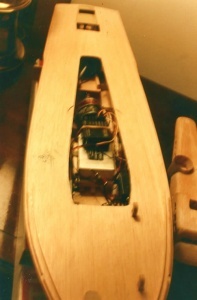 The cabin was scratch built of plywood and balsa, and the boat powered up for RC operation. Cabin removed to show power train. 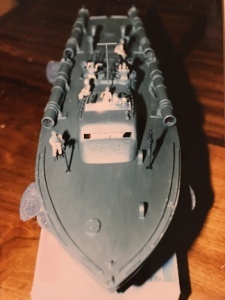 This version was detailed using various plastic figures and arms from 1:35 scale military models (Tamiya) available at local hobby shops. At the bottom, there’s a photo of the boat in a small pond with a companion model of an 80 foot ELCO built at the same time.